We share grilling in our house, but not the prep work…hmmm? BBQ Rules listed below. Never let it be said that we do not get our money’s worth out of a bag of lump charcoal (thank you “Fire it Up”) so far this week three easy busy day dinners on the Primo. French-style burgers, Korean chicken wraps, and “filet” of pork can be prepared ahead of time (even prepped wrapped and frozen for other meals) and benefit greatly flavor-wise from a long rest in the refrigerator; all have relatively short grilling times and all three recipes can be pan seared if your don’t have a grill. A blend of beef cuts such as sirloin, round, brisket, and chuck medium course ground is my preference for “ground beef” but feel free to use whatever mix you like including lamb and veal for the burgers. 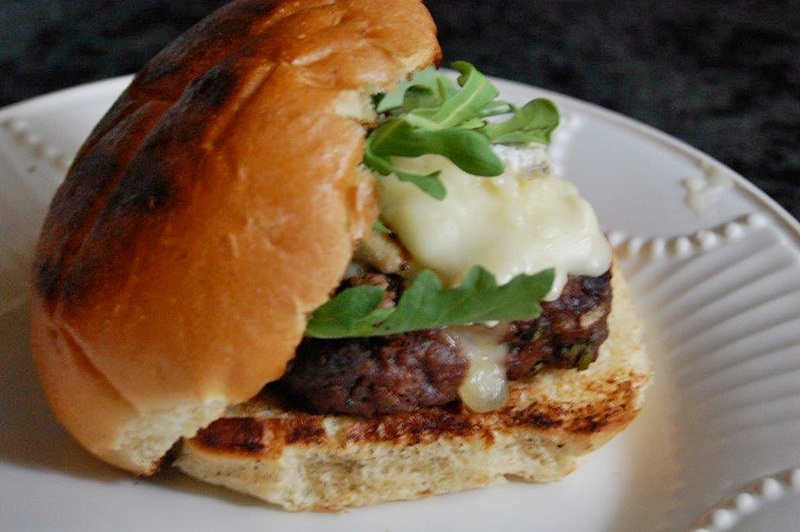 The additions of cognac and Dijon mustard makes the burger a little French topped off with baby arugula and more Dijon spread on the bun makes for a nice change in my usual burger repertoire. Mix the beef with the rest of the ingredients, shape into patties, and press the centers of the burgers to create an indentation, grill or pan fry to desired doneness. Toast burger buns or rustic bread slices, spread with Dijon or Dijonnaise and add Boston lettuce or arugula to finish your burgers. In a resealable plastic bag, combine the soy sauce, sesame oil, honey, vinegar, pepper, scallions, garlic, ginger and 1 tablespoon of the sesame seeds. Add the chicken and turn to coat. Seal the bag and refrigerate for at least 2 hours or for up to 4 hours. 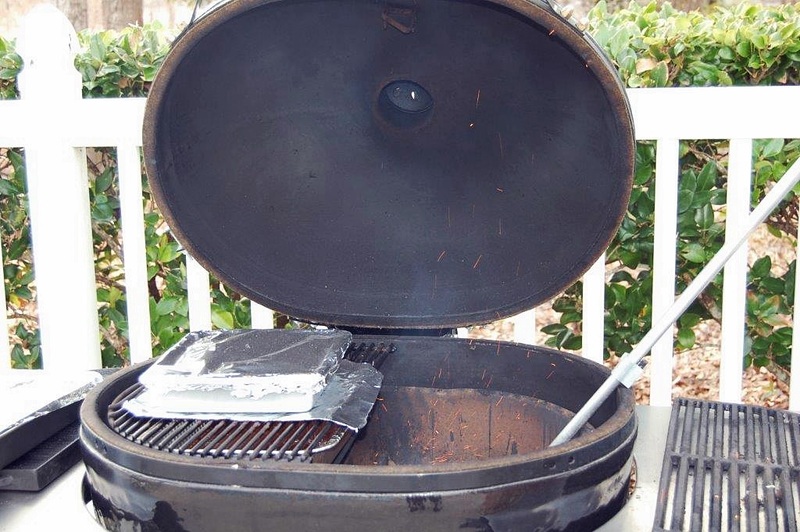 Light a grill or preheat a grill pan. Oil the grates. Remove the chicken from the marinade and brush lightly with oil. Grill over moderate heat, turning once, until lightly charred and cooked through, 5 minutes. Sprinkle with the remaining 1 tablespoon of sesame seeds, thinly slice and serve. 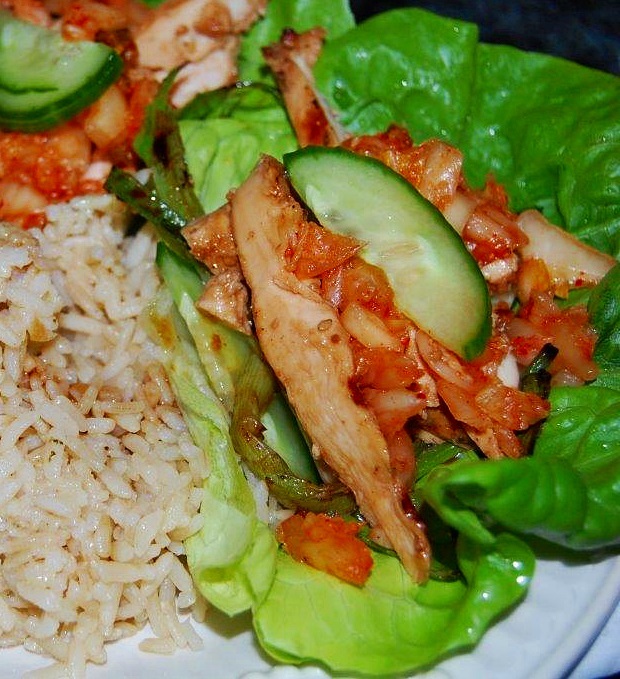 Serve with Boston/Bibb lettuce, steamed rice, kimchi, cucumbers and Sriracha chile sauce. 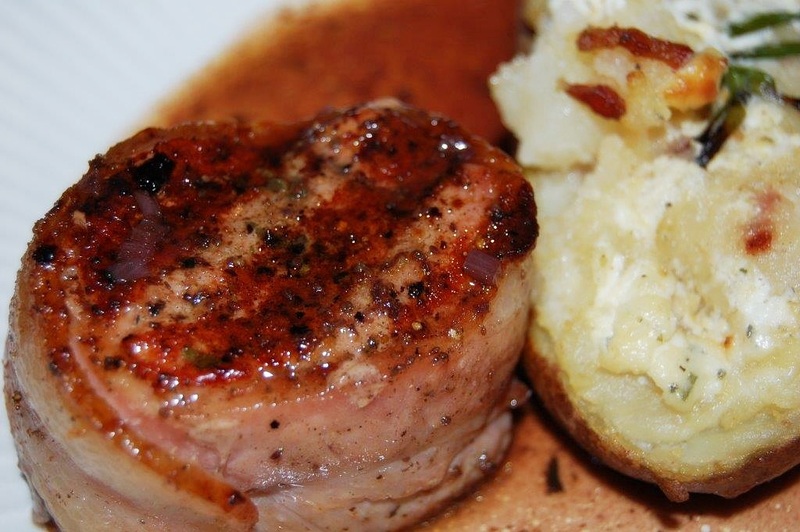 Slice each tenderloin crosswise into four equal pieces. 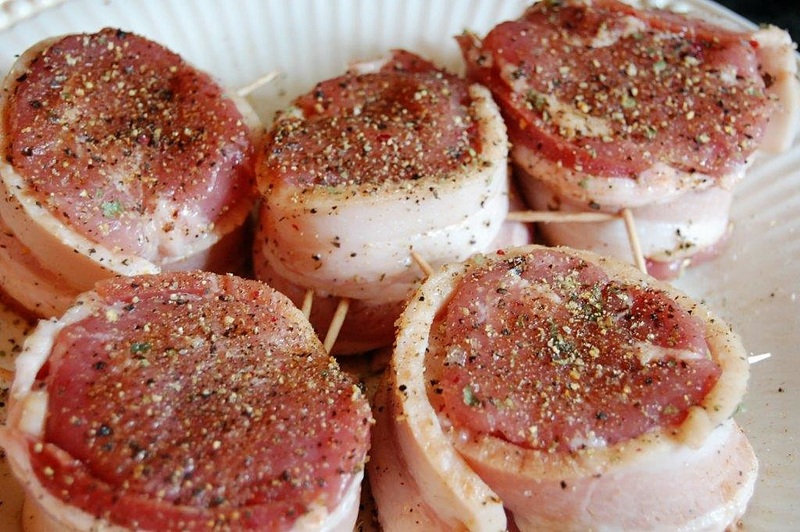 Wrap 1 piece of bacon around the pork and secure with toothpick or wooden skewer. Repeat with the remaining pork and bacon. Sprinkle with pepper. Heat a large cast-iron skillet over moderately high heat, add the pork and cook until golden brown, turning once, about 6 minutes total. Transfer the skillet to the oven and cook until no longer pink in the middle and the bacon is golden and crispy, 8 to 10 minutes. The thick bacon did not crisp perhaps because it was too thick and I’ll try thin slices next time. In a large skillet over moderate heat, cook the remaining bacon until crispy, 12 to 15 minutes. Remove the bacon and drain on paper towels. Keeping the fat in the pan over moderate heat, add the shallots to the pan and cook until softened, about 5 minutes. Add the demi-glace and wine and bring to a boil, reduce the heat and simmer until slightly thickened, about 15 minutes. Season with salt and pepper. Serve the pork with generous drizzle of the pinot noir sauce. (2) The woman makes the salad, prepares the vegetables, and makes dessert ..